Tour to Moscow. Moscow tour. Trip to Moscow. Tour of Moscow. Weekend tour of Moscow (Russia). Moscow travel. 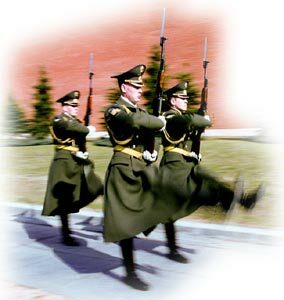 Sightseeing of Moscow, sightseeing tour. Tours to Moscow. Travel to Moscow. Russia. Legend tour. Tour to Moscow. Moscow tour. Trip to Moscow. Tour of Moscow. Weekend tour of Moscow (Russia). Moscow travel. 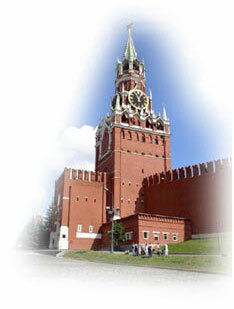 Sightseeing of Moscow, sightseeing tour. Some people love Moscow. Some hate it. Most do both. It's glittering, it's gray. It's friendly, it's surly. It's beautiful, it's bleak. It's hedonistic, it's religious. It's the epicenter of the new Russia, with shops, restaurants and nightlife that most provincial Russians can still only dream about. Much more than most major cities, Moscow rewards those who take the time and trouble to get to know it. For the capital of the world's biggest country, to many newcomers it seems oddly quiet and village like. You may be dazzled by the wild nightlife in the clubs and bars but it will take more effort to find the pulse of the city. The slur that St Petersburg cast on Moscow - that it's 'just a big village, not a real city' - is partly true. Moscow indeed began life as a provincial outpost and grew slowly, with different neighborhoods taking distinct identities. Now, it's more like several thousand villages. Each street, courtyard and staircase has its own character. Moscow has its great buildings, historic sites, seats of the high and mighty, broad avenues, famous theatres, busy restaurants, parks and squares, but the real flavor of this city is in its small nooks and crannies, each of them unique. Pass beneath the Kremlin walls and stroll around the historic precinct within. Walk through Red Square and feast your eyes on St Basil's Cathedral. Then start to explore wherever your fancy takes you. Markets, Parks, quiet streets off the main avenues. The beautiful old convent of Novodevichy and the cemetery next door, where famous multitudes are buried. The Tretyakov or Pushkin fine art museums that house world famous collections of Russian and impressionist art. The old royal palace of Kolomenskoe on its bluff above the sinuous Moscow River. Take a boat ride along the river itself. Go to a concert or go wild at a club. Or go underground of the famed metro really deserve the adjective "elegant". Soon you may just be entranced. There is no better way to get to know Moscow, or its citizens, than by strolling around, studying faces, randomly walking into stores to see what's for sale, even if you buy nothing.